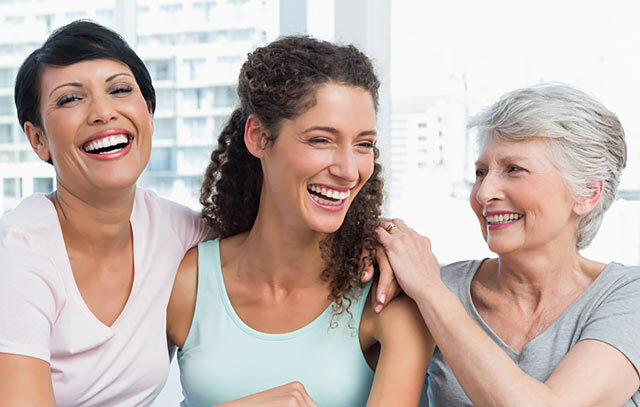 The Women’s Imaging Center at Northwest Texas Healthcare System is a comprehensive and integrative breast center dedicated to the prevention, screening, diagnosis and treatment of breast cancer. The Women’s Imaging Center is staffed with qualified, compassionate registered technologists who perform medically responsible imaging exams. The Women’s Imaging Center is designated as a Breast Imaging Center of Excellence by the American College of Radiology (ACR). The ACR designation recognizes the Center’s earned accreditation in mammography, stereotactic breast biopsy and breast ultrasound. Northwest offers a softer digital mammogram and 3D mammograms. We use a soft, warm cushion during the mammogram, making the exam more comfortable. Mammography screening is the best method for finding breast cancer in its earliest stages, when cure rates are the highest. It can reveal small tumors up to two years before you or your doctor can feel them during a breast exam. If a tumor or other issue is detected, you may also need a diagnostic mammogram or other breast imaging to pinpoint the cause. At Women’s Imaging Center at Northwest Texas Healthcare System, our compassionate technologists have advanced training in breast imaging and are certified in mammography. The ACR recommends that women age 40 and older have annual screening mammograms in order to detect breast cancer even when no symptoms are present. Screening mammography looks for unsuspected changes in the breast tissue. Diagnostic mammography is utilized when a patient has consulted with her doctor or healthcare provider and there is a known change that needs to be investigated. 3D mammography (breast tomosynthesis) produces three-dimensional images of the breast, leading to better cancer screening and detection. Digital Breast Tomosynthesis/3D Mammogram is a revolutionary new tool that help doctors detect breast cancer earlier than previously possible. This technology allows the physician to see thin mammography sections of the entire breast. This results in better detail without the superimposed tissue above and below each section that can hide abnormalities on the traditional two-dimensional image provided by mammography. To find a doctor affiliated with our Women's Imaging Center, contact our free physician referral service at 800-887-1114.